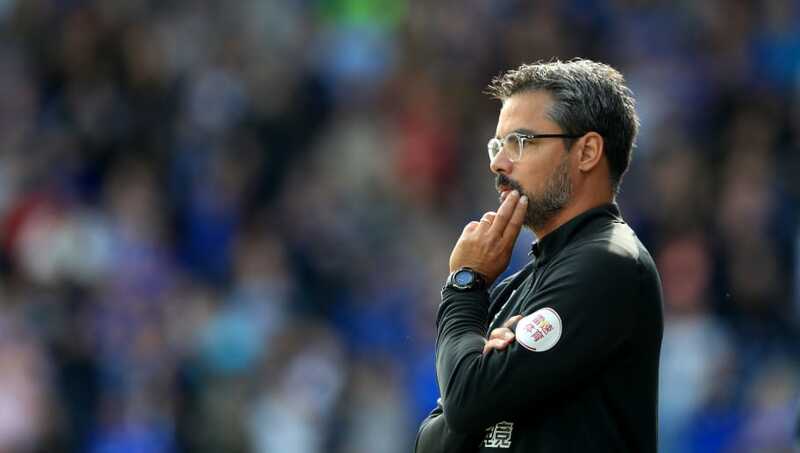 ​Huddersfield boss David Wagner has said his players "fought" for what was in the end a significant point in their 0-0 draw with ​Cardiff, after having been reduced to ten men. The Terriers finished the game with a missing man, after Jonathan Hogg was dismissed for violent conduct midway through the second half. ​Speaking in his post-match press conference, Wagner said: "I think, the first hour, we controlled the game. "There was one team who wanted to do something in the offence and create opportunities and this was my team. We have known that in the last 10-15 minutes if we keep the tempo high, we will get the space, but unfortunately this was not the case because we went one man down. "In the end this was a good point for us, the lads fought [for the point]." The tempo and power dynamic of the game changed dramatically after the interval when Huddersfield midfielder Hogg was dismissed for an incident with Harry Arter in the Terriers' box. On the replays, tempers are seen to flare between the pair with Hogg reacting aggressively and shoving Arter multiple times. Arter was also shown a yellow card for his involvement in the confrontation. Speaking about the incident, Wagner said: "The incident, to be totally honest, there were two aggressive players - one was more clever than the other player and unfortunately it was not my player who was clever." Huddersfield will face ​Stoke City in midweek in the League Cup, before a Premier League clash with ​Crystal Palace on Saturday.